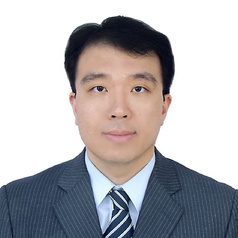 Dr. Hoehun Ha is Assistant Professor of Geography specializing in Geographic Information System (GIS). His primary research interests focus on the linkages between socio-physical environment and human interactions, using GIS and statistical methodologies. His research includes 1) the spatial modeling of chemical exposure and risk assessment, and the investigation of soil contamination with toxic substances in Anniston, Alabama. He also has worked on 2) conservation easement suitability modeling : a case study from South-East Michigan and 3) roadkill hot-spots modeling using a geographic socio-environmental niche-based approach: a case-study from 3 state highways in Central California. Furthermore, in his current research, he has developed 4) spatial models in public health - physical / socioeconomic based approach; a case study from U.S counties. His teaching interests cover a wide range of geography courses including: Introduction to GIS, Advanced GIS, GIS in Environmental Modeling & Management, GIS in Public Health, Cartography, Geography of World Region, Human Geography, Spatial Statistics, and Earth Systems Science. Dr. Ha's publications have appeared in numerous internationally reputable scholarly journals including: Environmental Science & Technology, Computers, Environment and Urban Systems, Transportation, Applied Geography, Ecological Informatics, High Altitude Medicine & Biology, International Journal of Environmental Health Research, and International Journal of Environmental Research and Public Health. He is a member of Association of American Geographers (AAG) and Applied Geography Conference (AGC).